Please note, paint pouring pieces will take at least 24hrs to dry completely. You are welcome to take them wet in one of our trays or to pick up your piece at a later date. This is not an instructed paint pouring workshop – so participants should be familiar with the paint pouring process. However, we will provide notes for any beginners who would like to explore paint pouring and our staff are always here to help! We will also do a demo to get you started. 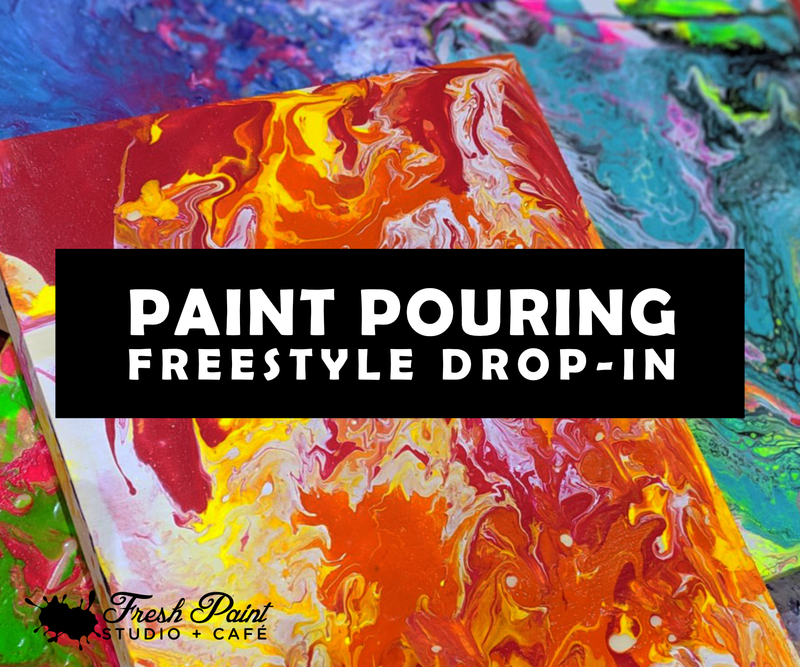 Please call or email to reserve your spot – info@freshpaintstudio.ca or 647-927-0764.